Happy (almost) summer everyone! You know what I think the best part about summer is? Seeing little perennial plants, sprouting up all over the place! Right now, I have a few tiny new mint plants coming up in my raspberry patch. I prefer to keep my mint in a pot. 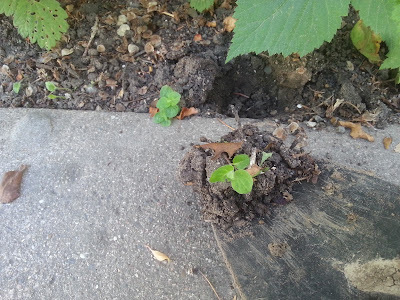 Mint is a hardy spreader, so keeping it in a pot, dug into the ground, prevents it from taking over the garden. 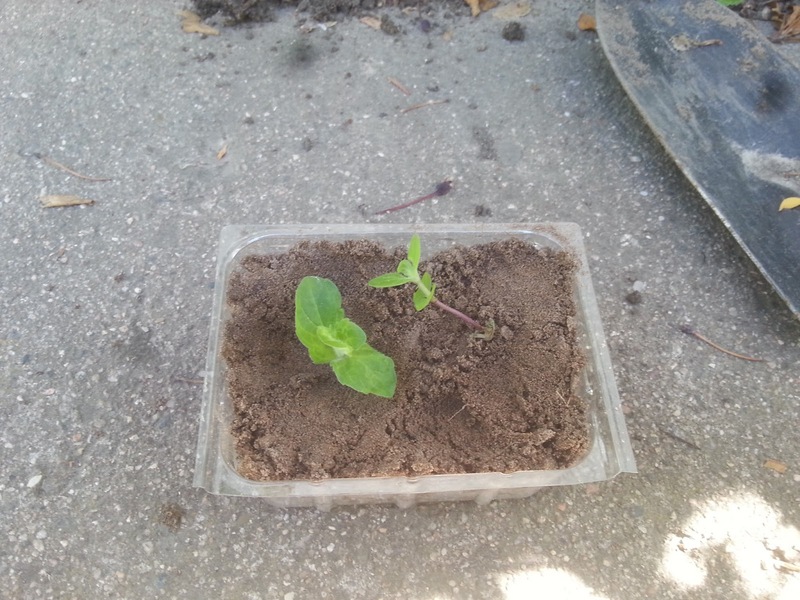 There are a couple of ways that mint can be propagated. I will explain both ways and show you how to do it. They're both pretty easy. The first method is transplantation. This is the method that you will want to use if you find mint growing somewhere that you don't want it to be. Dig a small hole in the new space where you plan to plant the mint. With your spade, carefully dig around the mint. Do not dig too closely to the plant as you want to get as much of the root as possible. Dig approximately 5 inches deep. 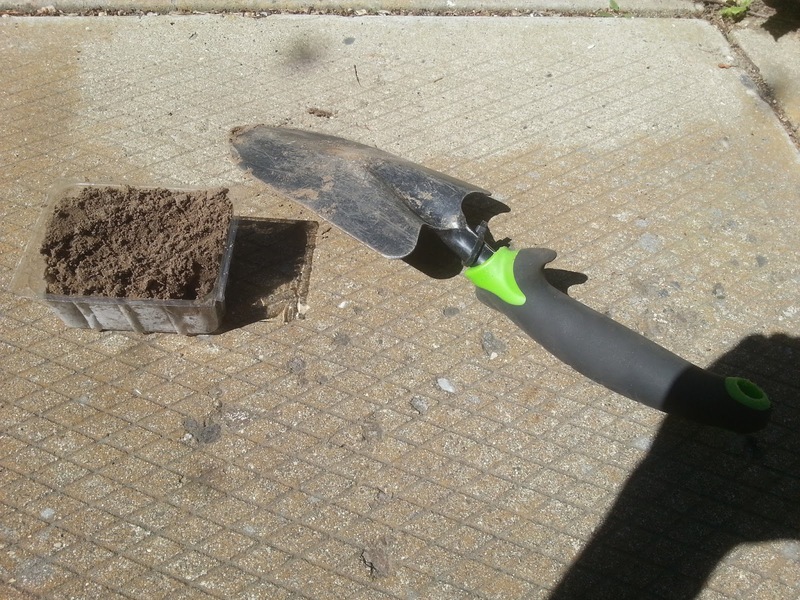 Hook your spade under the mint plant and lift it from the ground, along with the soil surrounding it. Transfer the plant to its new location and fill in any gaps with fresh soil. Wasn't that easy? Now just make sure you water your mint daily for the next week or 2, to give the roots a chance to take hold. Rooting a plant from a cutting can be a bit of an overwhelming idea for anyone. Mint is the perfect plant to try this with, though, as it's a vigorous grower and responds very well to this type of propagation. 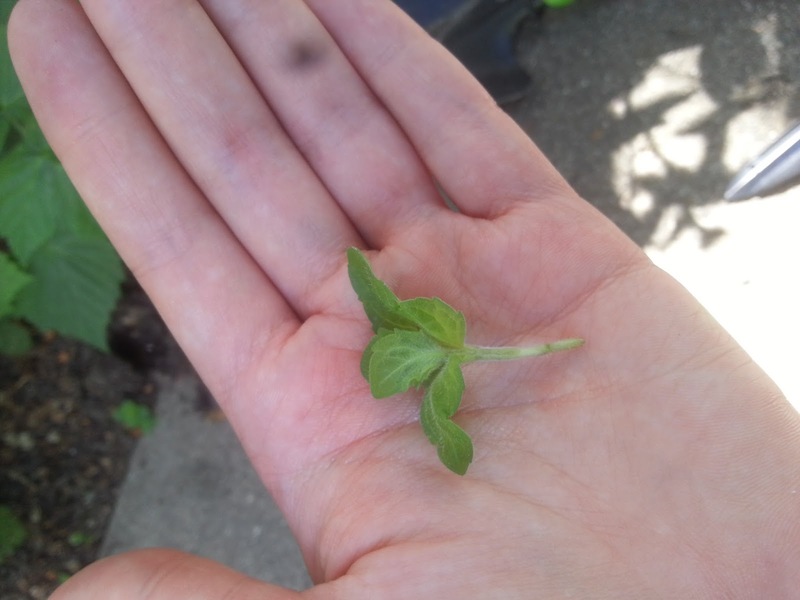 Find a young piece of mint (don't use an old woody stem), use a nice green, pliable one. 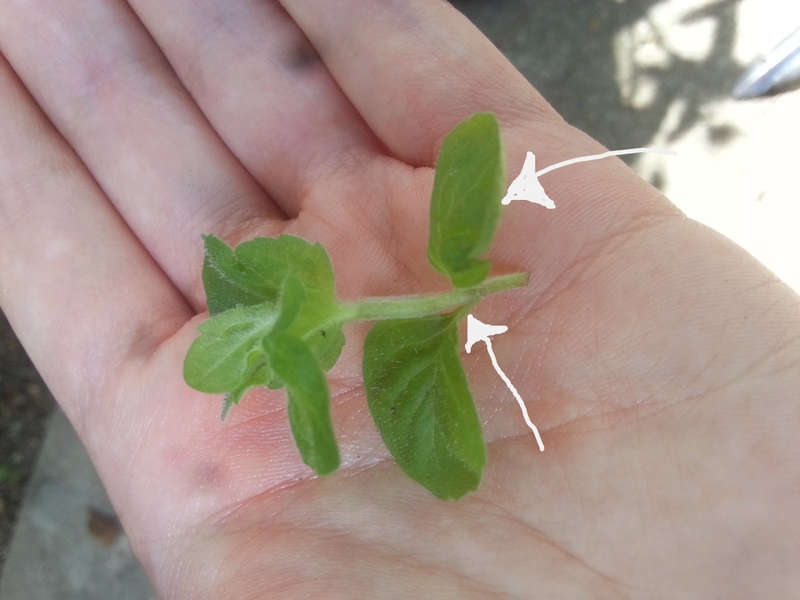 Cut the mint stem directly below a set of leaves. Next, carefully remove the 2 lowest leaves. Roots will form from where these leaves were. If you're using rooting hormone, now you should dip the bottom of the stem and area where you removed the leaves into the liquid or powder formula. Poke a hole into the soil and then insert the cutting. Gently firm the soil around the plant. Water gently. Continue to water daily for the next 1-2 weeks to ensure that the roots have a chance to take hold. Here is a picture of the finished transplants. On the right is the one that I dug up, and on the left is the cutting. I hope you enjoyed this tutorial. 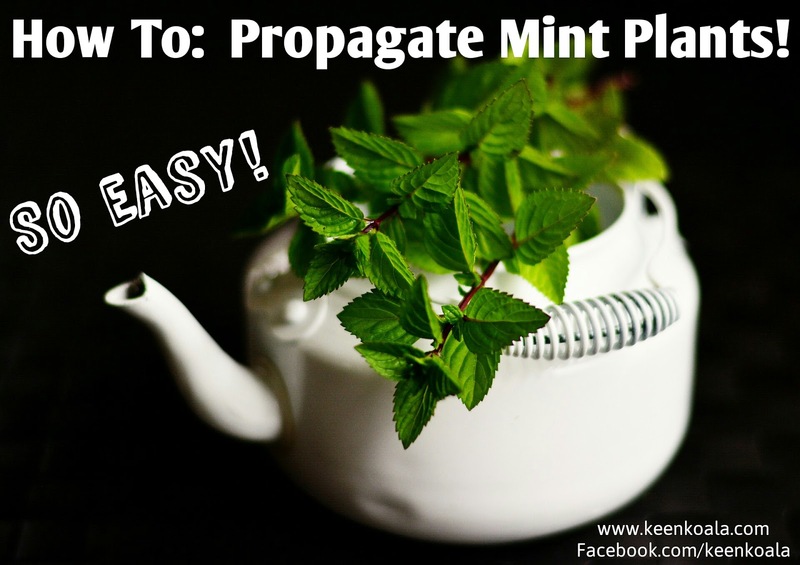 See, propagating mint is so easy! Now you can share this delicious herb with all of your friends! Subscribe To My Newsletter - Never Miss A Post! Copyright © 2016 Keen Koala - All Rights Reserved. Travel theme. Powered by Blogger.